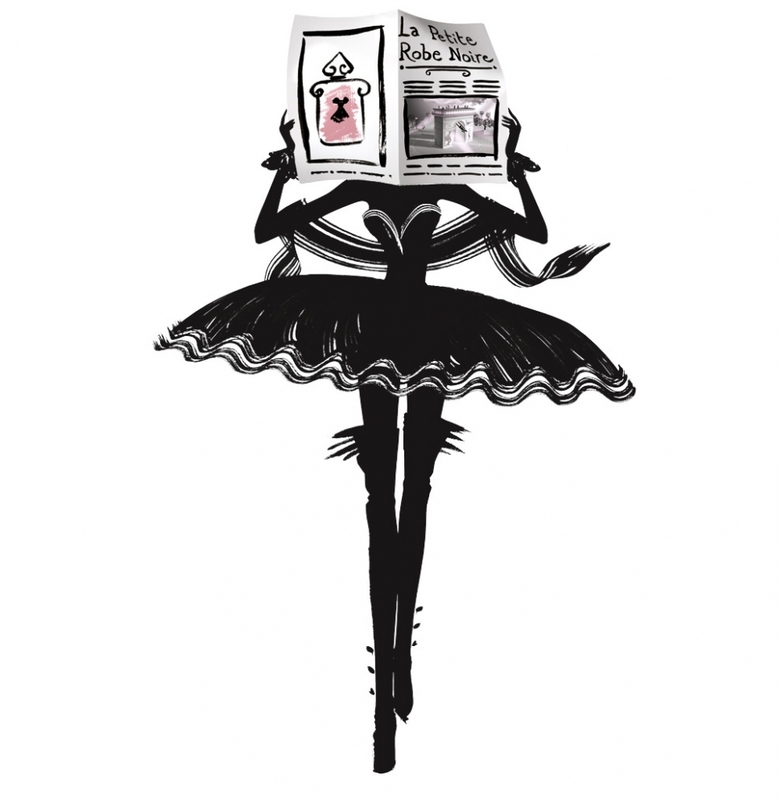 Guerlain’s ode to the Little Black Dress, ‘La Petite Robe Noire’, has a confusing history. First it was released as a pricey boutique exclusive, then there was the sequel ‘La Petite Robe Noire 2’ (and yes it was about as good as you would expect a sequel to be), the first of five planned additions to Guerlain’s wardrobe. Following all of that Guerlain has now decided to relaunch a new version of La Petite Robe Noire as part of its main collection, and in-house perfumer Thierry Wasser has gone in and tweaked things a little bit. Now, I don’t mean to be smug (OK maybe just a little) but I have always said that La Petite Robe Noire was wasted as a boutique exclusive, strongly believing that it would be a massive hit if it were unleashed into the world of mainstream perfumery, and from the response it’s getting on the counters I think it may just be as popular as I expected. Taking inspiration from the most classic and versatile pieces of clothing – the little black dress, La Petite Robe Noire is the perhaps the most fun, free-spirited of Guerlain’s many offerings. It comes billed as “the epitome of couture for the skin”  and if you’re wondering what “couture” smells like, the answer is, in true Guerlain style, a big fruity floral gourmand. Having already reviewed the original La Petite Robe Noire, I imagine that this review is slightly redundant, but I felt that it would be interesting to compare the two versions, especially as there has been a good degree of tweaking to the formula. La Petite Robe Noire (2012) opens with bright, fizzy berries and rose. It is decidedly less tart than the original and the fruit feels much brighter and less dense, putting it in line with more mainstream tastes than the mouthwatering edibleness of the first (and best) edition of La Petite Robe Noire. There is also much less emphasis on the cherry, which is a bit of a disappointment because the jammy cherry in the original was what made it so darn fantastic. The rose becomes much more pronounced as the fruit dies down and I’d say that it is possibly more prominent in this version than the original. The whole composition seems to err on the side of florals rather than the rich, heavy gourmand ingredients seen before and that wonderful pastry-like vibe is also much more subdued. La Petite Robe Noire 2.0 is generally lighter and more effervescent, with next to none of the liquorice & smoked-tea blackness of the original, and as it struts flirtatiously into the base it develops a truly delicious juxtaposition of powdery iris and velvety sweet vanilla. Even though it is lighter, and less like something from the Guerlain patisserie in the base than I would hope for, I have to admit that I do still enjoy what La Petite Robe Noire has to offer. It manages to be delicious without cloying and puts all the other fruity gourmands on the market to shame. All-in-all this new version is a pretty good reinterpretation of the original. The differences, of which there are a number, are relatively subtle and taken as a stand alone fragrance it really is wonderful. Yes it is isn’t the exact same fragrance but the magic and spirit of La Petite Robe Noire is alive & well, and most importantly it is much more accessible. Am I annoyed that I dropped £95 on a fragrance that now retails for £51? Not really, I enjoyed the exclusivity whilst it lasted. Will I be running out to buy a bottle? Not yet, I’ll stick with my beloved and more-gourmand version for now but this new interpretation will make a good substitute if I ever need to replace my bottle. I will however, be buying a couple of bottles for Christmas. There’s going to be some fab smelling ladies in my family…. Guerlain is a house that likes tradition and what can be more traditional than the classic heart-shaped stopper bottle, famously used for Guerlain classics such as L’Heure Bleue and Mitsouko. For La Petite Robe Noire the bottle has been coloured in pink that fades dramatically to black. It is accented with pink ribbon and a cartoon of the little black dress from which the scent takes its name. Très chic Guerlain! La Petite Robe Noire is available in 30ml, 50ml and 100ml Eau de Parfum with prices ranging from £35.70-£73.10. Matching body products are also available and Guerlain will soon release Eau de Toilette and Extrait versions. Posted in Feminine, Floris, Fruity, Gourmand, Guerlain and tagged Floral, Fruity, Gourmand, Guerlain, La Petite Robe Noire, Thierry Wasser. Bookmark the permalink. I get what you mean though, the new version is much thinner and given the choice I’d of course choose the original. This one is still very good for a mainstream launch. I must admit I rather narrow-mindedly avoiding the original because cherry almond puts my teeth on edge. I should have done though because you and B both think it was superior to the current version. You should be glad you bought that bottle when you did! Oh and that film is really cute. Haha, if only! That said, if they are reading they can feel free to commission me my very own bespoke Guerlain…. I tried this new version but didn’t like it at all. It definitely isn’t as awesome as the original but I’m still rather fond. I didn’t try the earlier version. The version from 2012 was the first version of La Petit Robe Noire that appeared in Poland. I don’t think the original was ever here either, I bought mine in Epcot. I’m probably not qualified (yet) to render any opinion on this perfume since I’m just one foot in the Guerlain’s fan club but since I had a chance to test both versions (not in parallel though) and the new one just a week ago at the airport Duty Free shop I want to say that the best thing about this perfume for me was a test blotter label: they made it as a clothing label with the name and LBD on it. Ah yes, the dress label blotter was cool wasn’t it? If there was an award for the best tester-strip design it would win it. The ad is absolutely adorable though! That makes sense, if you don’t like this style of fragrance than LPRN was always going to be a no. I will have to pass on La Petite Robe Noire. On me it is Cherry Coke. Guerlains usually love me but not this time. Oh dear, Cherry Coke is nice to drink but definitely a no-no as a perfume! I have completely changed my mind about this fragrance. Couldn’t stop thinking about how I would like to wear it and kept spritzing testers. I now have my own bottle and it is used A Lot. The bottle was a £26 score in a gift box with lotion in Boots post Christmas clearout. Last year I lucked out with Shalimar Initial!! Miss Petite Robe Noire has a habit of getting you hooked. She’s a sneaky minx! Those gift set bargains are the best!